← Curing Olives May Be EASIER Than You Think! Driving Miss Swifer: That Damn Hen Is Makin’ Trouble AGAIN! Fall is in full swing in Northern Ontario. It’s a great time for the family to head up to the cottage for a relaxing weekend and enjoy the colors of the changing leaves, cool crisp nights by the wood stove and some hearty comfort foods. So off we went, beloved wife, dutiful son, non-egg eating daughter, protector dog and……..of course,…….the chickens. 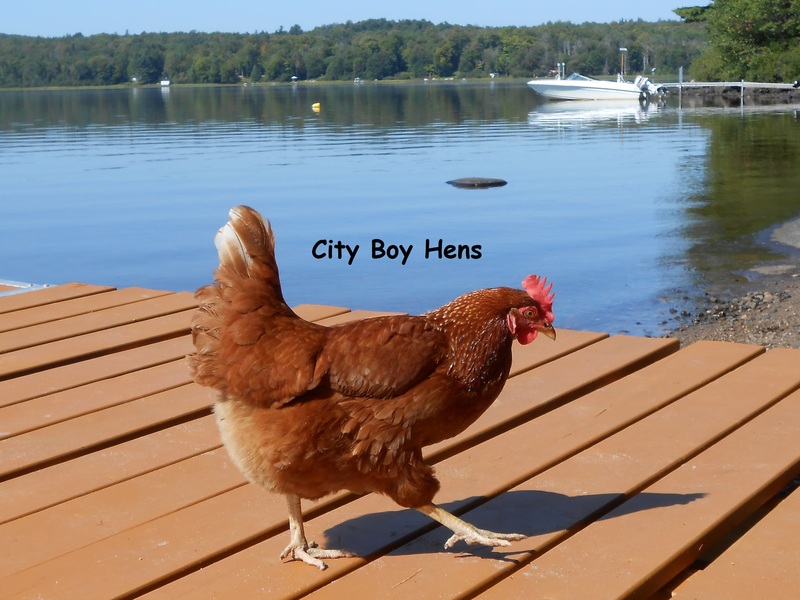 If you are new to following City boy Hens, you may not be aware that we take the chickens to the cottage. There’s no better way to get the freshest of eggs for a Sunday morning brunch! Besides…….they too, according to my daughter, have become part of our family! 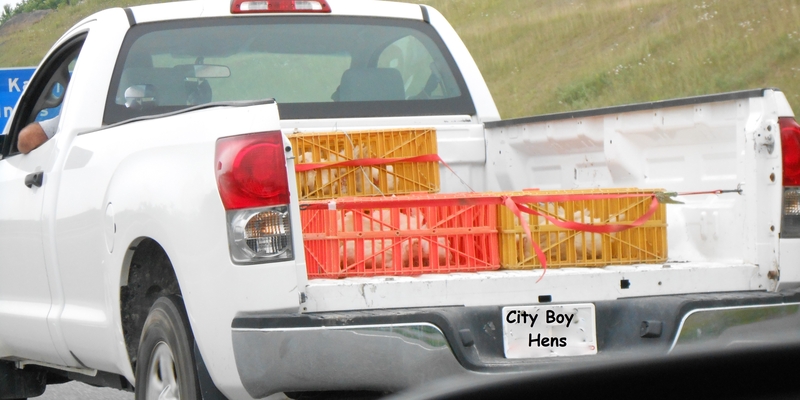 For the most part, the hens are no trouble to take to the cottage. 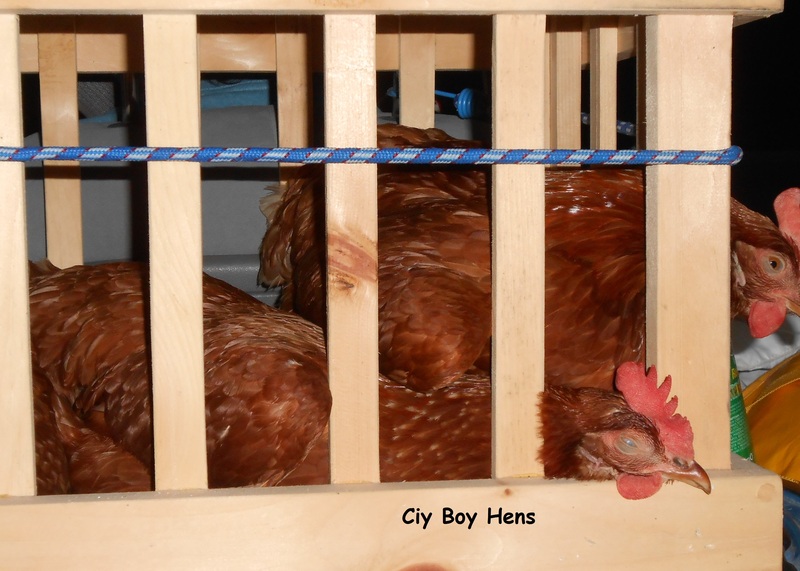 They travel well in their homemade crate and generally rest during the 3 hour trip……….that is until…………….last weekend. That weekend started out like every other weekend at the cottage. 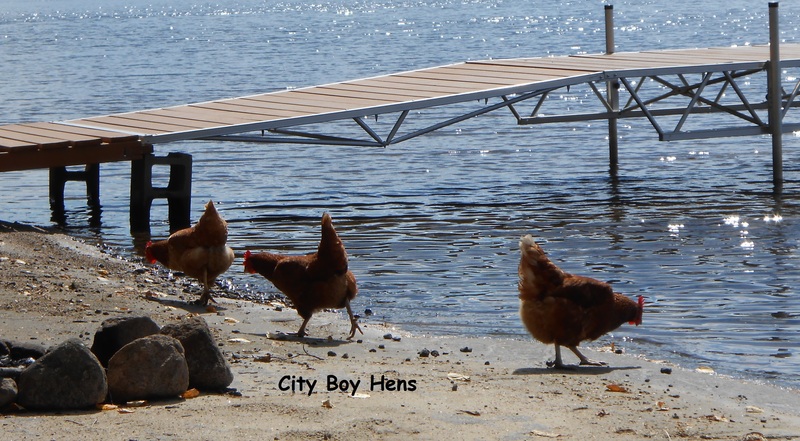 The trip up North was uneventful and the hens spent their weekend roaming around the cottage property or down by the beach. Heading Down To The Beach. When it was time to pack up on Sunday, I found Swiffer my herself behind the chicken ark in the run. Generally, the 3 hens are inseparable, but I didn’t give this too much thought as I picked her up and put her in the crate with Honda and Rosie. After “buckling” them in, we headed South for the return trip home. The drive was going along smoothly as beloved wife and myself shared some casual conversation until I heard a piercing scream from endearing daughter! “Oh my God………..Swiffer laid an egg!……….AAAAAAHHHHHHHHHHH…………It’s splattred everywhere. Holy $#! *…..Some of it got on my leg……….Oh my God……..they’re eating it! Oh….this is sooooooo gross!” Mom………I’m gonna’ puke!!!!!!!! Dad…pull over RIGHT NOW!!!!!!!!!!!……. It turns out that Swiffer had, once again, managed to create pandemonium by just…… being Swiffer! I guess it’s really not her fault. It looks like she too is going to be following Honda’s lead and begin molting shortly. 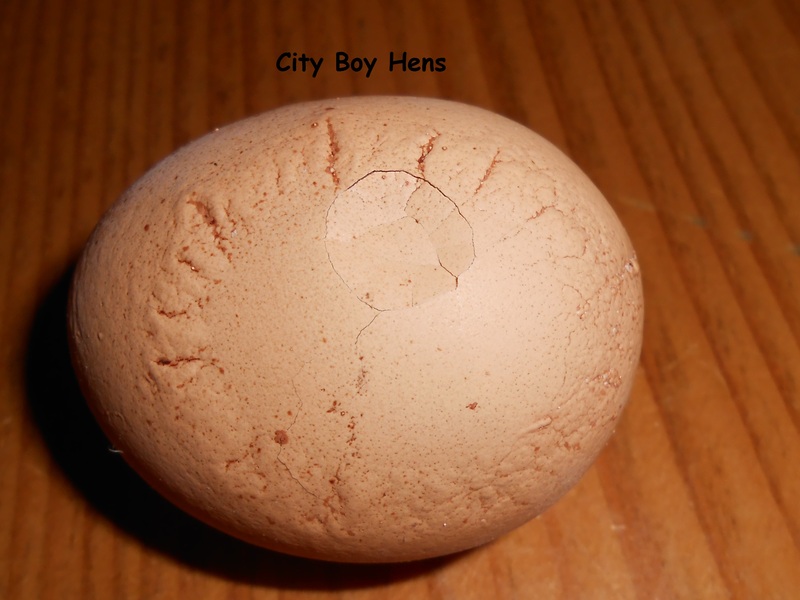 As I learnt a few weeks ago, soft-shelled and crinkled eggs are generally a good sign that a hen will begin molting. Hey Swifer…don’t be listenin’ to that CHICKEN MAMA! Nice to hear from you again Joan! Wow! 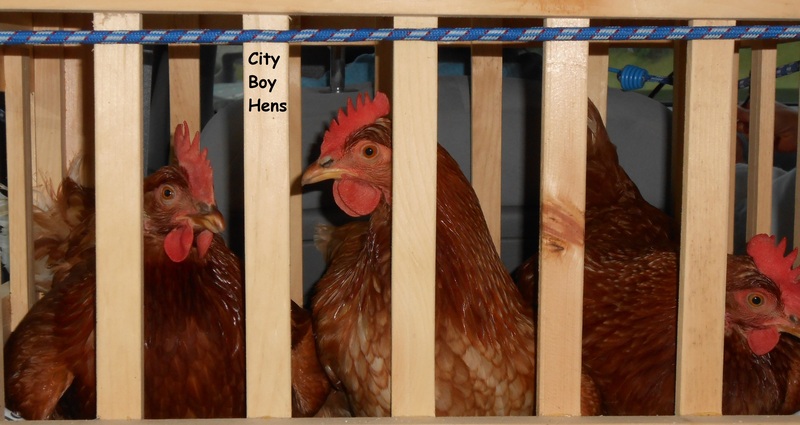 Your chicken have a cushy life!!! I love it! Who knew chickens like the beach! Lol! Aren’t you glad she’s not a goat? Hi Carla…on second thought….some curried goat might taste goooooood! Oh, what a trip! And I’m betting the Butcher isn’t going to come to visit any time soon. Never a dull moment when Swiffer is around! Don’t be surprised if she posts a sign “No butchers allowed”. Still can’t get over that you have a no egg eating daughter. lol! Actually, my youngest wouldn’t eat eggs either. She’s 25 now and her tastes have matured. She now eats eggs. There’s still hope! Thanks for sharing with SYC. As my daughter says…”Do you know where that comes out of????????????????????????? ?” Case closed! Funny story! Thanks for sharing on Backyard Farming Connection! You do know of course that soft eggs are usually a sign that your chickens need calcium usually in the form of oyster shell, right? Thanks for your comments. My hens do have calcium in their layer feed and have the opportunity to ingest calcium “free choice” in a separate container. With that said, it is not uncommon for laying hens to sometimes lay soft or thin shelled eggs prior to and during a molt. Hehe. We’re not laying eggs yet. Just turned about 21 weeks last weekend and now we’re headed into the winter so I’m thinking we may be waiting until spring. Oh. Well. Thanks for sharing this at the HomeAcre Hop. Always enjoy your posts. Lol….great story!!!! I have chickens also and a crazy one named Lucy that will not sleep in the coop. She sleeps on the front porch with the dogs…. :) Keep the stories coming….love them!! Thanks for your comments. I will do my best! 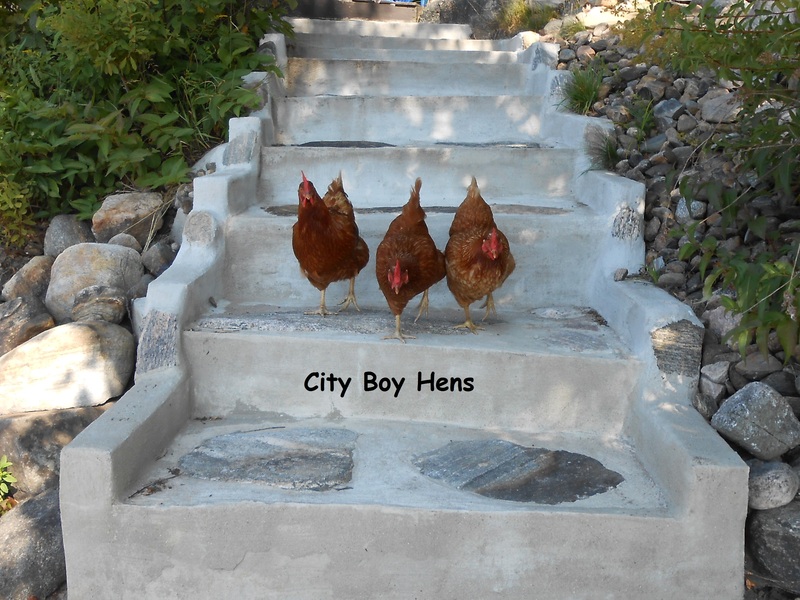 Always love hearing about your travels with your chickens! Had to check out your blog just because of the name of this post! I will be back! Thanks for dropping by. Hope you’ll stop by again.